Viraj Malik, founder and MD 1) Given how expensive mobile data is at the moment do you believe your business model would be viable in the current economic scenario? 2) Ad-free service on the mobile platform is a welcome change. What percentage of your content is exactly ad-free? How much of the revenue obtained via ads had to be supplanted using the subscription model? Is it a profit making avenue that more entities could soon enter? Answer: About 25% of our channels are curated and ad-free. On the revenue front, Ad Supported and Subscription based are 2 different business models with their own dynamics. We have seen adoption to paid models where user pays for premium content or features; so each will have its own audience segment and there would be service providers to both these segments. 3) Companies like Netflix provide data servers to all ISPs in the country free of charge. These servers are used for caching videos so that the consumers don’t experience any delay or streaming issues. 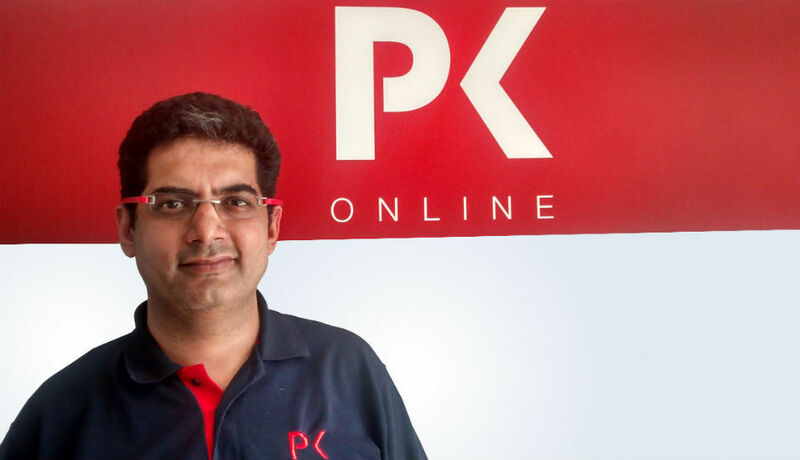 Does PK Online do the same for its services? Answer: Yes. It is our endeavor to offer a buffer free, easy to use service to users. We are adapting all technology solutions which can impact the speed and cost of usage, We are among very few content service providers with our CDN technology and AS numbers, we already have peering with some large ISP’s like BSNL, MTNL and Reliance and we shall be working closely with more ISP’s for localized hosting of caching and relay infrastructure in their network to improve the user experience and reduce the cost of video delivery. 4) Is this a BSNL only service? Also is it only for feature phones? 5) Where does your content come from? Are you just curating content? What kind of arrangements do you have with content providers or channels? Answer: Content comes from over 140 partners from all over India and few International providers as well. We also produce certain niche content in-house. Once we acquire the content, there is team of editors who adapt it for mobile consumption – whether it’s format, duration, packaging, programing and of course curation. Curation is key as the attention span of mobile user is smaller short. We source content through automated feeds to ensure that user has access to latest content on our service without any delay. 6) How do you make money? Answer: Till date paid subscription has been the key source of revenues. But with increase in target and audience base, we are seriously considering growing more in the Ad Supported space as well. 7) What kind of content are you aiming for? Will it be purely Indian or will there be international content as well? Answer: Our audience is primarily from India. We are focusing on content that engages the diverse audience in India, however this does not necessarily mean content will be only from India. Digital is a global medium, so we will get content from international players as long as it interests the Indian audience. 8) Given that there are 185 million mobile Internet subscribers in India out of which you claim to service 1 million. Is that enough to sustain your business model? Do the numbers match up? Will you be able to provide the variety of content that people deserve? Answer: The growing subscriber numbers tells us we are heading in the right direction. If you consider a segment that is comfortable with data usage AND is interested in video consumption, then the base will be smaller than 185 million. Of the relevant base, I am sure we are addressing a significant share through our service and it will continue to grow.